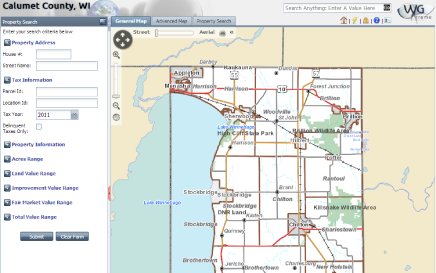 If you are looking for Calumet County online mapping applications, maps, or data then you came to the right place! Multi-Use Online Mapping Application Our most powerful online mapping application is focused on parcel information, but it also very data rich and has powerful query and print capabilities. 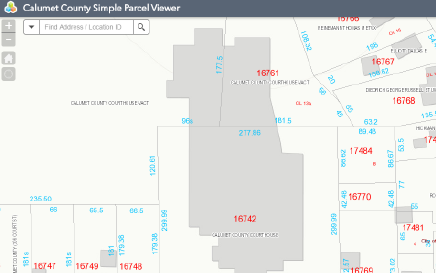 Calumet County Tax Data While technically not a map, this is a valuable tool to obtain taxation information in Calumet County. 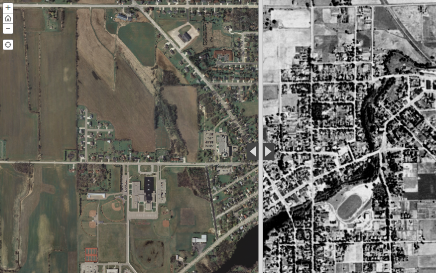 Aerial Comparison of Calumet County This fun map shows you how much Calumet County has changed from 1938 to 2014. Polling Place Application This application gives the location of your polling place. 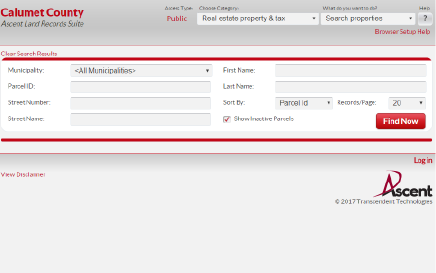 All you have to do is either enter your address or just click on where you live and the application will do the rest. Simple Parcel Viewer This application is designed for users who just want some simple address locations or parcel information. All you have to do is search by parcel address or it's location id, or you can just scroll your mouse wheel to zoom in and click a parcel to get the available information. 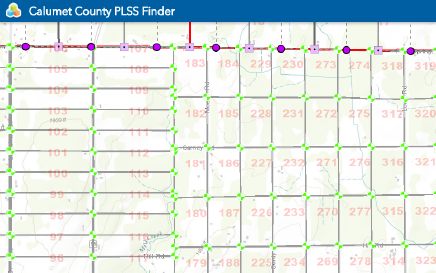 PLSS Finder This application allows users to search for section corners and view tie sheets. Caution: the tie sheets may take a while to load. Please be patient. 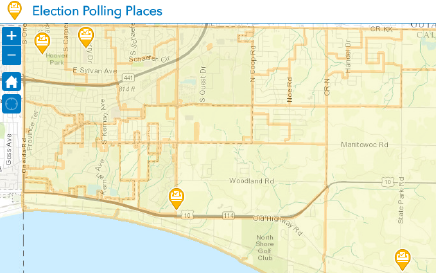 Click below for online mapping applications that may impact Calumet County citizens.